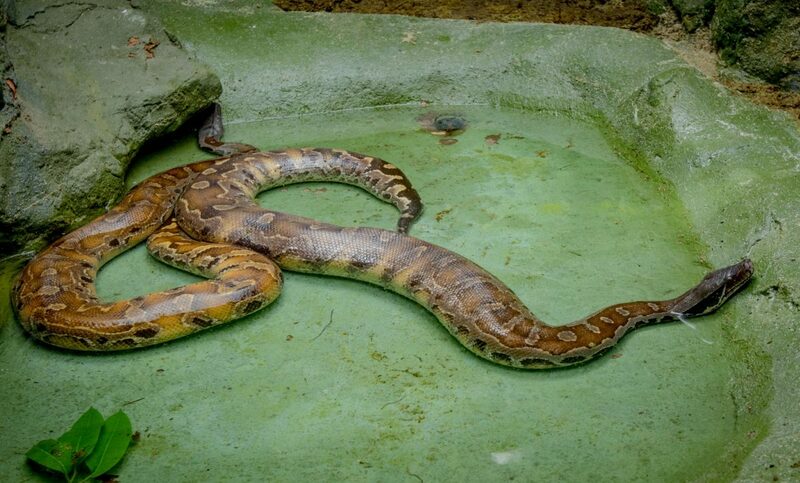 Bornean short-tailed pythons are primarily a crepuscular species  usually active around dawn and dusk. 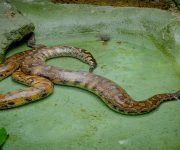 They are heavily-built snakes which can weigh as much as 13-14 kg, and are so called because of the blood red markings on their skin. 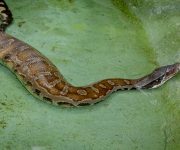 The tail region is also very short compared to their overall length leading to their alternative name of short-tailed pythons. 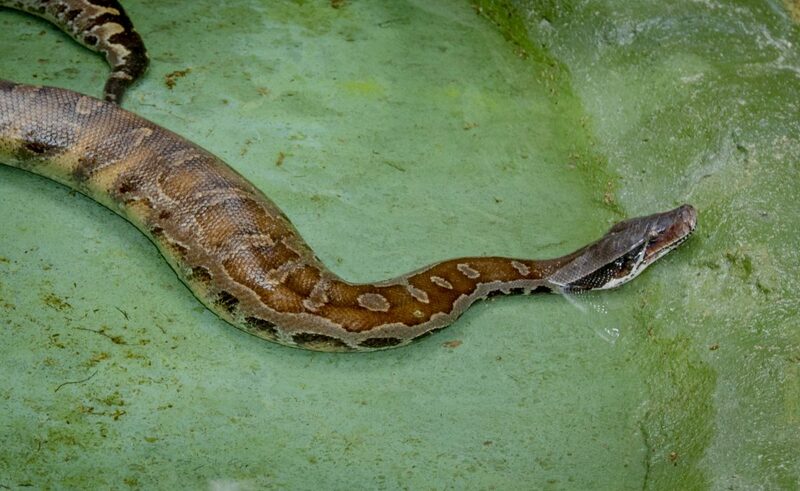 Blood pythons are inhabitants of rainforests where they are found in marshes, swamps and along river banks and streams. 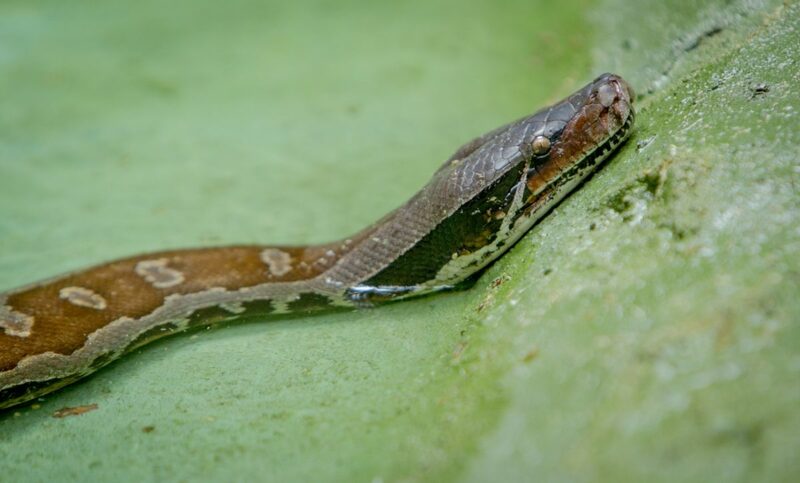 They spend much of their time in water and are often found in rice paddies, marsh and tropical swamps, lying in wait to ambush their next meal of small to medium-sized birds and mammals. 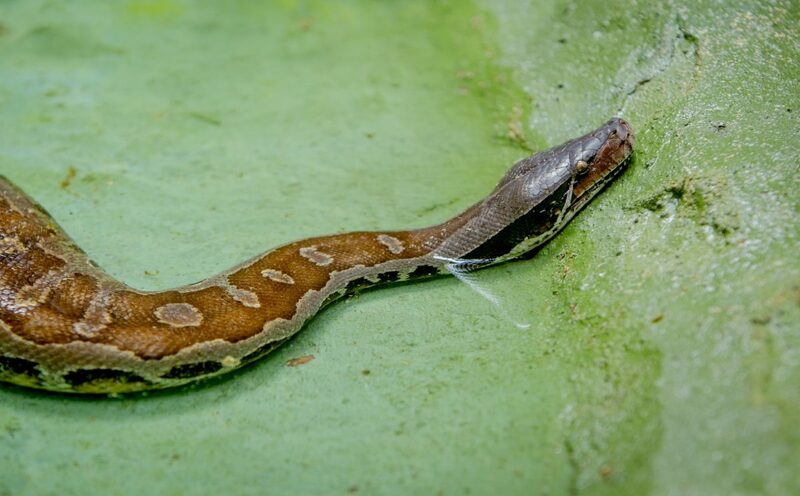 Their prey is killed by constriction. 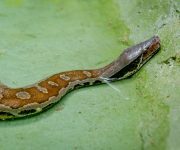 Blood pythons are oviparous (egg laying) snakes, with females normally laying more than a dozen large eggs The female remains coiled around the eggs during the incubation period, and may shiver to produce heat. 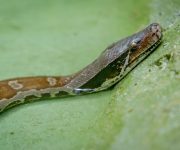 This action requires a lot of energy and the ectothermic or cold-blooded snake will only do so if surrounding temperatures drop below 32OC. Hatchlings emerge from the eggs after two-and-a-half to three months and are about 30cm in length. Collection for the skin and pet trade are the main threat to this species, however, the species is also threatened by habitat loss due to deforestation.